Gral. Rodríguez, Argentina. 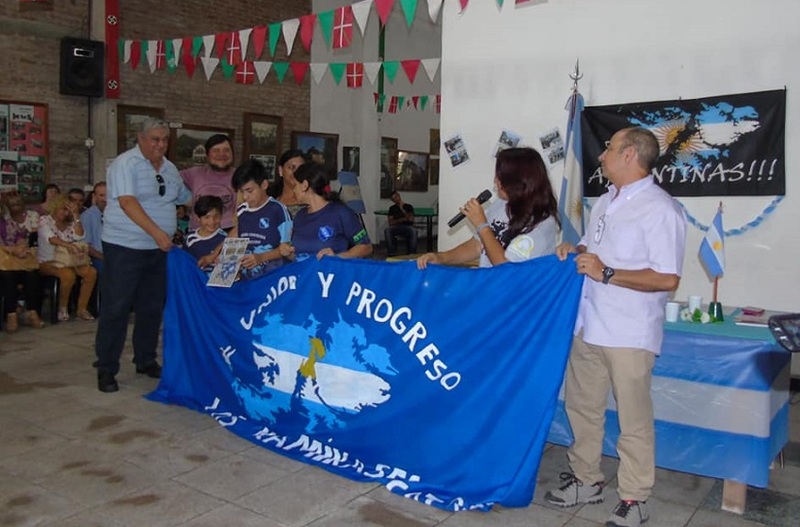 The event was last Sunday commemorating today's Veteran’s Day in Argentina as well as the Fallen of the War of the Falklands. The Basque club in Gral. Rodriguez has always been committed to its war veterans, proven by this tribute held at its clubhouse. Raul Taretto and Kika Vicente explained that “it was a proposal by neighbors Marcela “Malviner” Cruz and Mirna Arantzazu Santillan. Marcela Cruz worked at the city and was charged with finding a list of local soldiers who went to the Falklands. She found many more than the ones that had been included in the official list, so she made a complete list with biographies that were delivered to every family,” Eusko Aterpea sources said. The ceremony was very well attended with “some justified tears,” Vicente said. “We have a fallen soldier at the club, our president Juan Itcea's brother in law.” Photos of the tribute, here. The Eusko Aterpea Basque Club will also be present at the official event on Tuesday, April 2nd at the Monument of the Fallen including the inauguration of the improvements made at the monument.